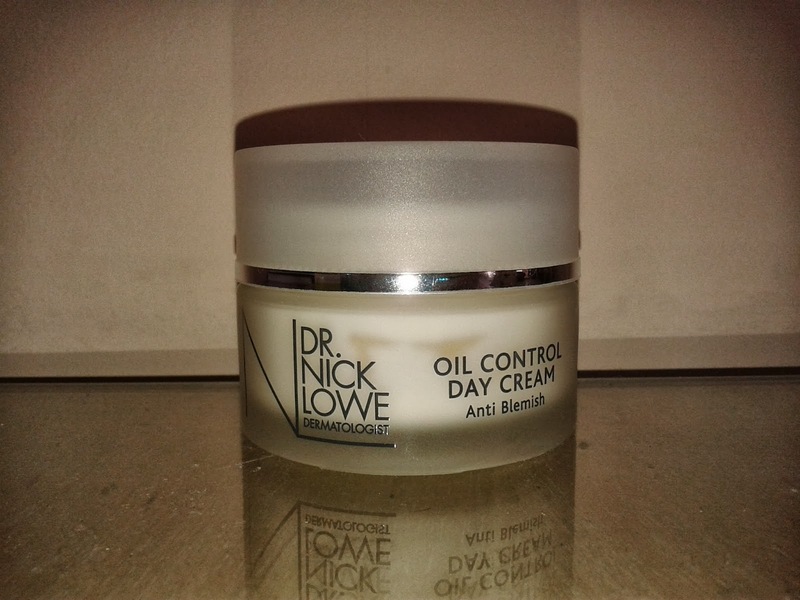 To coincide with the arrival of a new pot of my all-time favourite face cream I thought I would write a blog to tell you how much I love it and why. So what cream am I talking about? 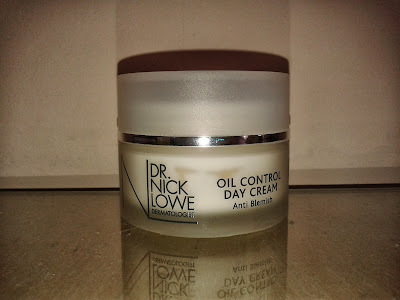 The Dr Nick Lowe Anti Blemish Oil Control Day Cream of course! 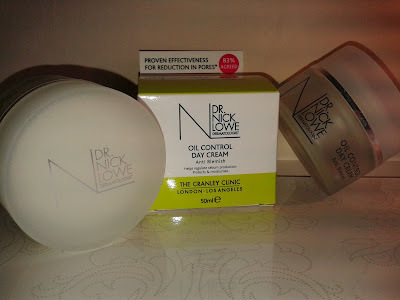 When I first used this product years ago I noticed straight away how it didn't leave my skin feeling sticky and wet, but it gave my skin a much needed relief from the harsh acne products that can seriously dry your skin out. I have been using it ever since and am just as in love with it as I was back when a 15 year old me used it for the first time. The product is spot on in its claims to strengthen, tighten and refine skin's texture whilst helping to prevent breakouts and blemishes. Since using it my pores have become smaller and tighter reducing the appearance of scars and red marks on my face and neck. The oil control element of this face cream helps prevent breakouts. 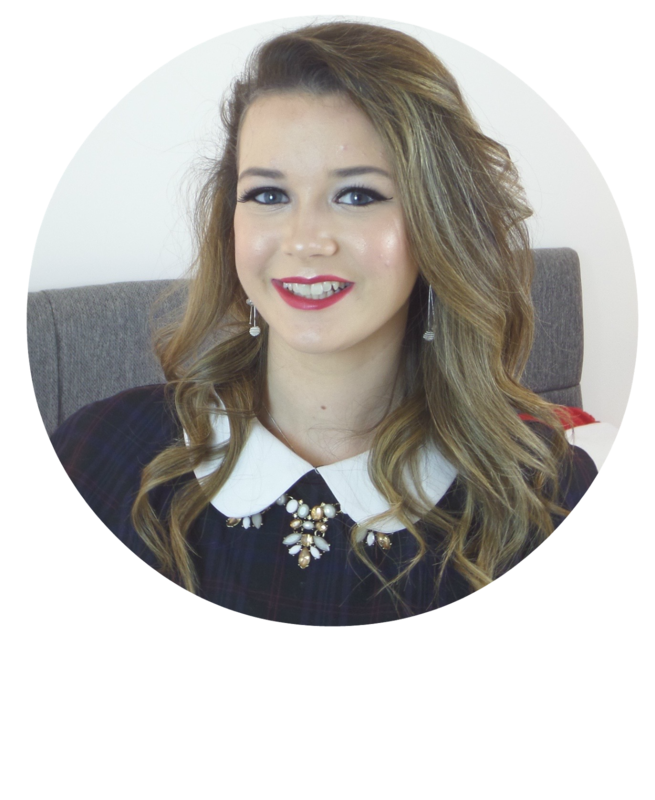 This has been particularly evident in my early twenties, but even when my skin was more acne prone in my teen years I noticed a considerable reduction in my breakouts. The cream has a slight smell, but not off-putting, similar to talcum powder, it is easily gotten used to and does not linger on the skin after application. 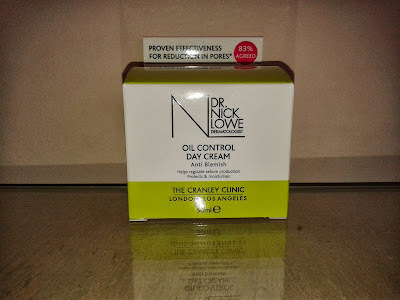 I apply this moisturiser every morning to a dry cleansed face and then continue with any make up once it has absorbed into my skin which takes a matter of seconds. I purchased my new pot from feelunique.com for £17 for 50ml which does make it a bit pricey but believe me it is worth every penny. 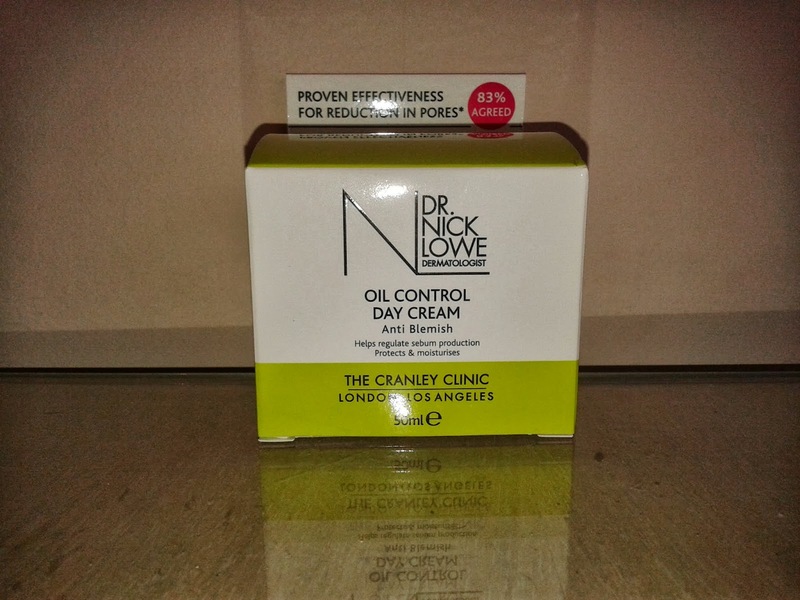 I did have trouble finding somewhere to purchase a replacement this time as I have normally been able to find it in larger Boots stores for £15.49, but they appear to no longer stock it at many stores and even online it is constantly out of stock. 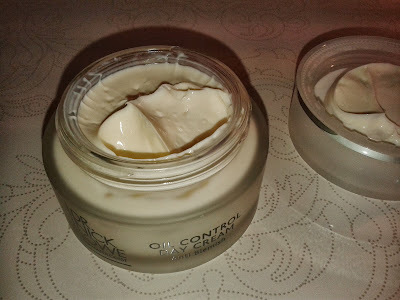 Despite this, if you can get your hands on it I would, and have, recommend it to everyone in the market to switch up or try a new daily face cream. Hey here are the ingredients as stated on the box: Aqua, isohexadecane, Aluminium Starch Octenylsuccinate, Ethylhexyl Methoxycinnamate, Zinc Oxide, Cetearyl Alcohol, Caprylic/Capric Triglyceride, Glycerin, Prunus Amygdalus Dulcis Oil, Cetearyl Glucoside, Polyacrylamide, Salicylic Acid, C13-14 Isoparaffin, Arnica Montana Flower Extract, Propylene Glycol, Methylparaben, Allantoin, Ferulic Acid, Niacinamide, Parfum, Tocopherol, Laureth-7, Disodium EDTA, Phospholipids, Propylparaben, Salix Nigra Bark Extract, Sodium Hyaluronate, Retinyl Palmitate, Tocopheryl Acetate, Ascorbyl Palmitate.